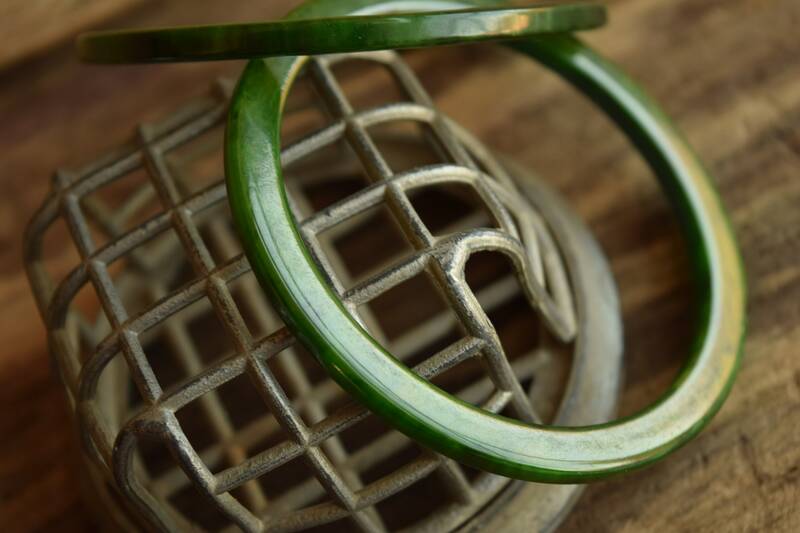 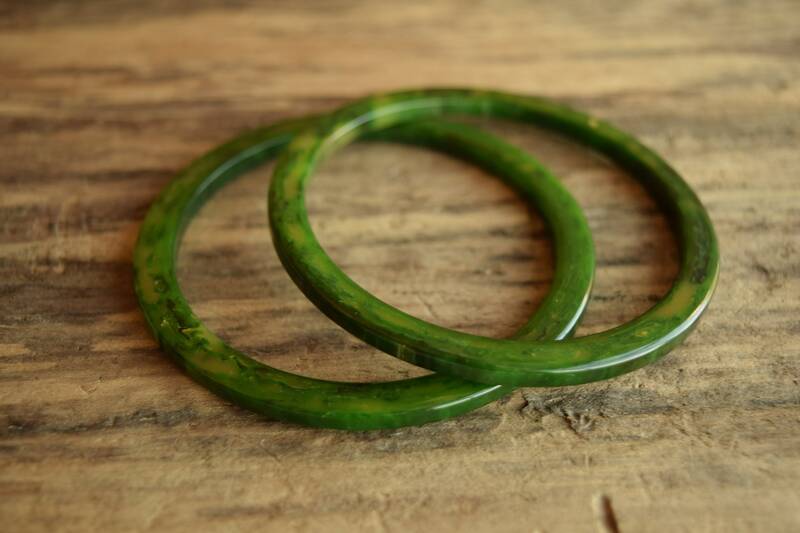 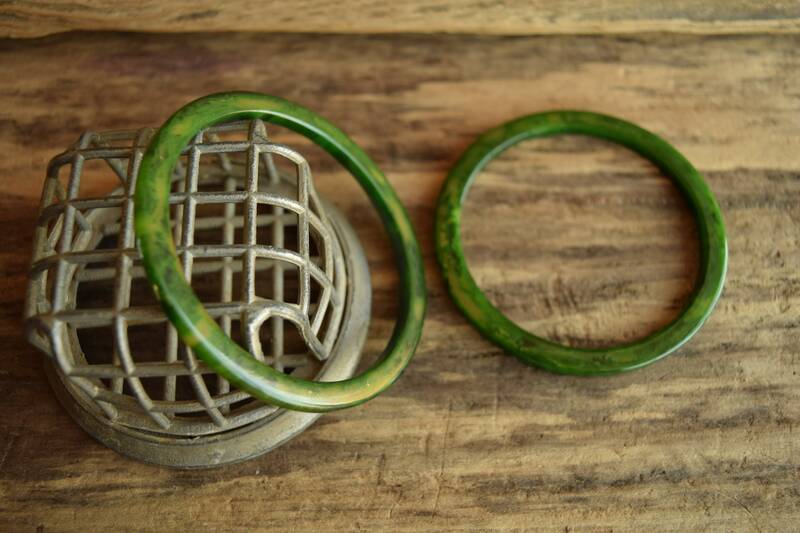 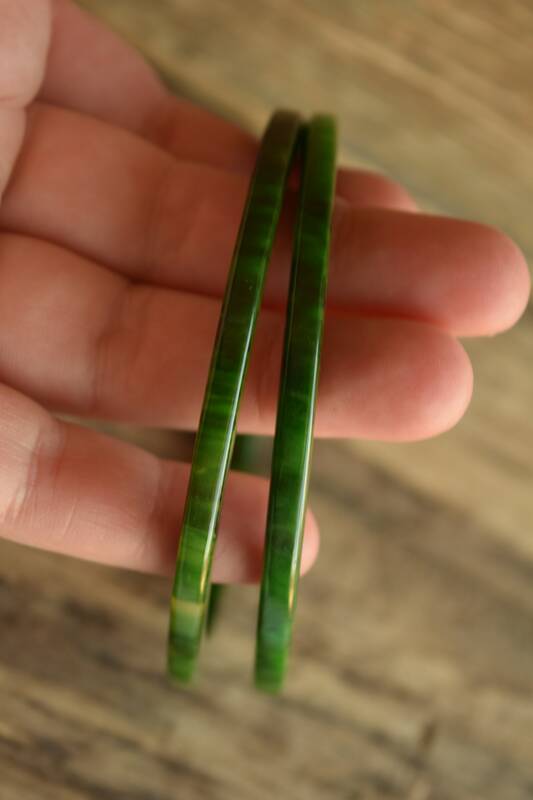 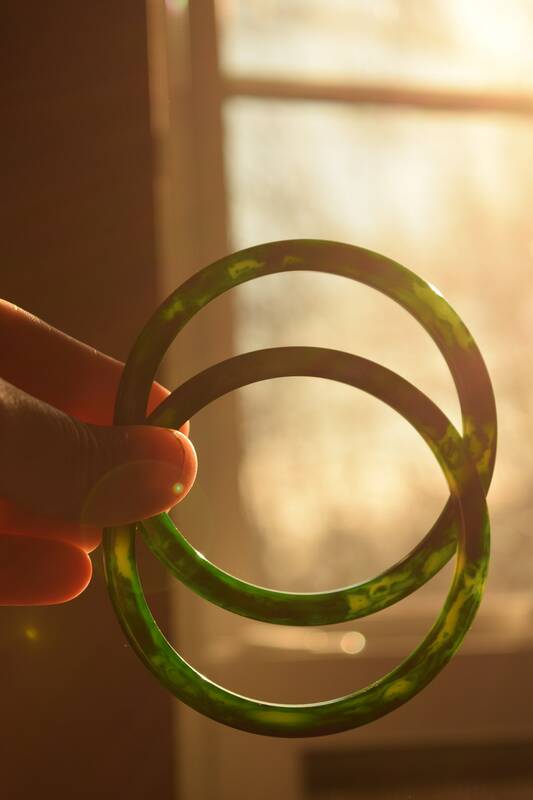 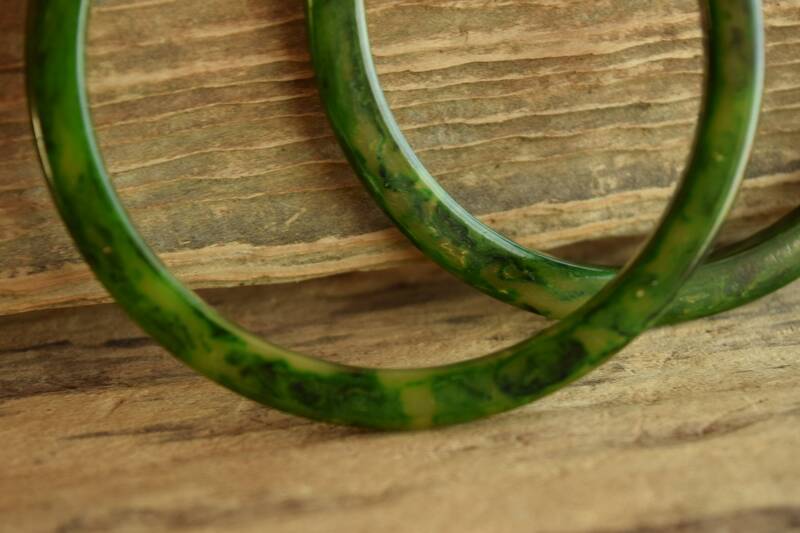 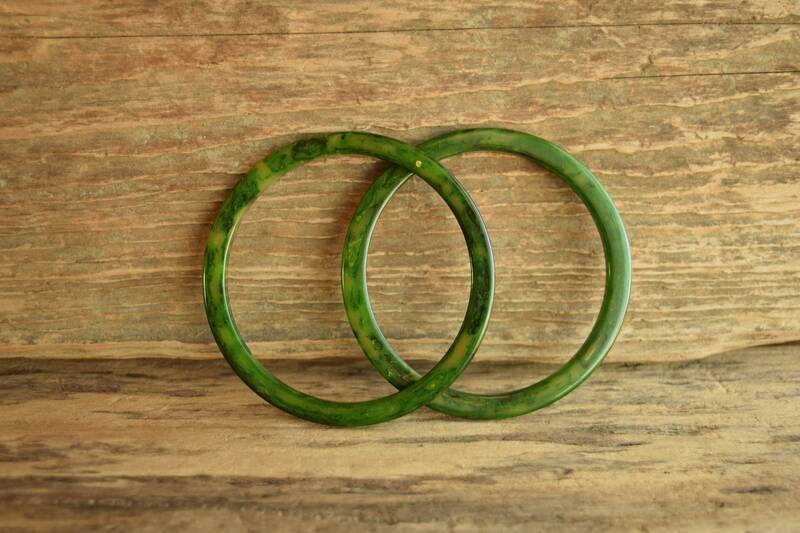 Add to your Bakelite stack with a charming pair of thin marbled green Bakelite Bangles. 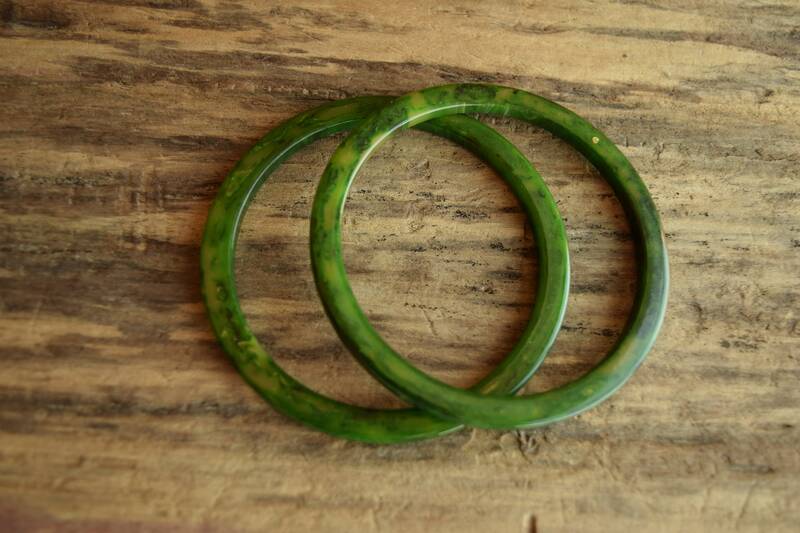 They measure just over an 1/8 of an inch wide and are 1/4 inch thick. 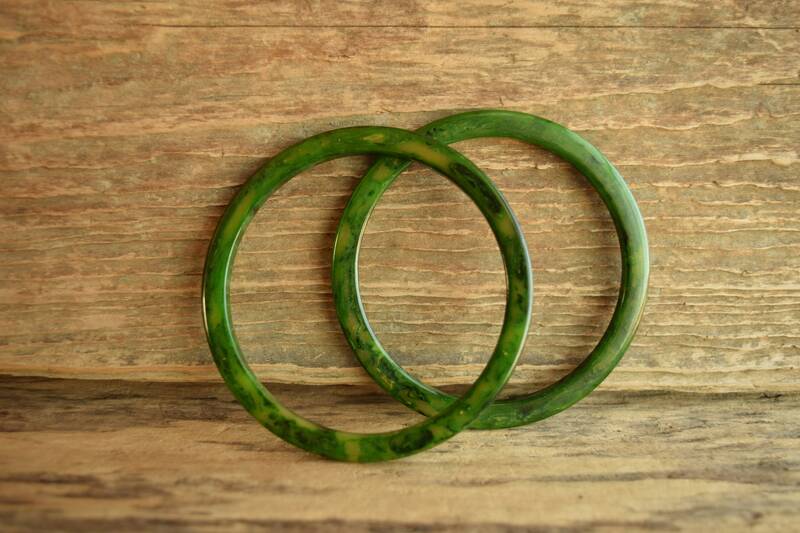 They're an easy way to complement a beautiful stack be it reds for the holidays or a vibrant spring collection.